At ForeverLawn, we’re not just ahead of the curve—we’re defining it! That means that we are always improving our technology and manufacturing processes to create the best artificial grass on the market. K9Grass, the first-ever artificial grass designed specifically for dogs, was released in 2005 and has since been installed in pet resorts, boarding facilities, veterinary clinics, dog parks, residential yards, and more all around the country. With over three million square feet of K9Grass installed, there’s no doubting that it’s the best product out there for dogs. But there’s always room for improvement. ForeverLawn has since released a new and improved version of K9Grass that features a re-engineered blade structure and color that not only increases durability, but adds a cooling effect to the turf. “We are continuously involved in research and development to offer our valued clients the best solution possible. K9Grass is the only product of its kind for pet facilities. 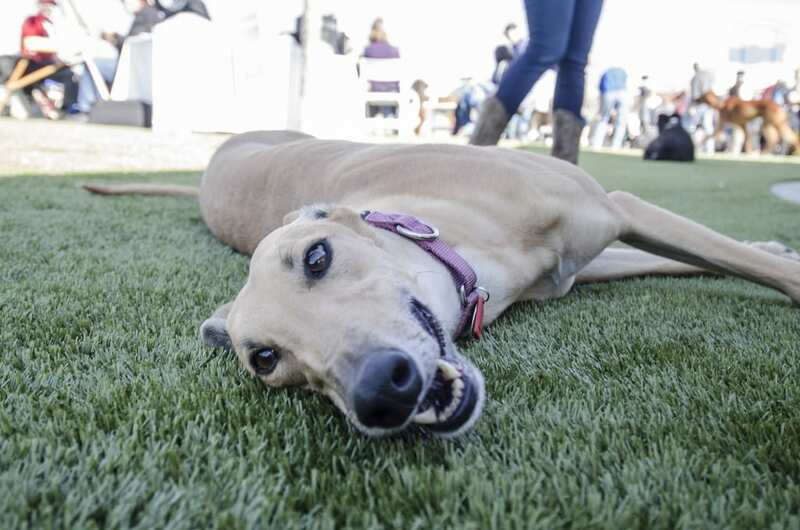 No other synthetic grass offers the drainage, cleanliness, or durability of K9Grass, and it is the only synthetic grass that can be used in an indoor pet environment,” says Ken Karmie, K9Grass brand manager. Other key features of K9Grass that make the artificial turf the leading choice for boarding facilities and dog parks around the country are its cleanliness, drainage, and no-infill design. With AlphaSan® antimicrobial protection built into the blades, the turf stays fresh-smelling and safe for dogs. Our superior installation methods make the turf 100% drainable to eliminate liquid waste, adding to the overall freshness of the product. To learn more about the superior features of K9Grass by ForeverLawn and the release of the new and improved K9Grass, read the full article on PR Web.